Knotts Berry Farm Discount Tickets – Legitimate Spots to Find The Lowest Price! Knotts Berry Farm Tickets – Where to Find The Best Deal! Are you planning to visit Knott’s Berry Farm, or the Knott’s Soak City Waterpark? If so, we have a list of places you can find legitimate discounts on Knott’s Berry Farm tickets, to help you save for the whole family! Here are the best discounts currently available. Knotts Berry Farm Discount Tickets – As Low As $38! If you’re headed down to Southern California, we’ve found I lived in southern California for a few years when I was a kid and this was a fun amusement park we visited a few times. If you’re headed down to Disneyland but want a break to try something new for a day & at a lower rate than paying for another day at Disney, this is a nice option of a different kind of theme park to take the family. It’s only 10-15 minutes away from Disneyland too, if you’re staying close to Disney. Sometimes the older kids like this park better, as there are some more adventurous rides. They also have Knott’s Soak City, which is a fun waterpark to add on. There are not as many waterpark options in the Disneyland area as there are in the Disney World area, so if your kids are a fan of those, this is one opportunity. Plus, Knott’s Berry Farm has their own themed hotel, that will cost you much less then a Disneyland Hotel, especially if you find it on sale (it does pop up on Groupon from time to time)! We recently updated the post below with ticket deals for Knotts Berry Farm, Scary Farm for the Halloween Season, if you are wanting to visit then. Getaway Today has discount Knotts Berry Farm Tickets here. They start at $52 per ticket for kids and $56 for adults. These guys are awesome, especially if you want to book a package deal (they do great vacation packages, and customer service is top notch)! or $50 per ticket for adults, (you can get Knotts Soak City Tickets for just $42 too here!). 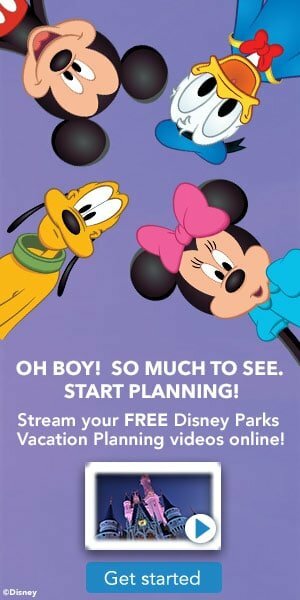 If you plan to check out some of the other area attractions (like Disneyland or Universal Studios), they also have discounts on combo passes too, so you can save on all the parks. 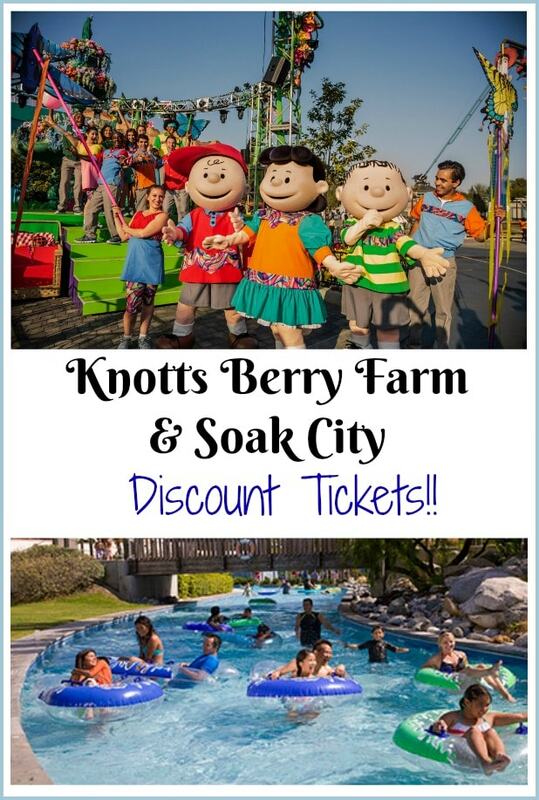 KNOTTS Berry Farm Soak City Tickets from $38 here. Goldstar’s discount tickets – $42 + service fees, making them $49.50. There’s much to keep you and your family amused by land, water and air at Knott’s Berry Farm’s 160 acres of roller coasters, games, shopping, live entertainment, dining and children’s rides in Buena Park. Go head-over-heels and heels-over-head on the scream machine Boomerang. Bang into your buddies on the Wheeler Dealer Bumper Cars. Make a splash on Bigfoot Rapids. Take a spin on Wipeout — if you dare! In between turns on the Sierra Sidewinder and the hair-raising Montezooma’s Revenge, visit Camp Snoopy or Ghost Town for live singing, dancing, stunts and the Peanuts Gang. In the spring, celebrate Knott’s delicious roots at the Boysenberry Festival. (Walter Knott invented the cross between a loganberry, red raspberry and blackberry!) This fun food festival includes tasty Boysenberry Bites — like boysenberry BBQ sauce, ICEE floats and Frappuccinos, live entertainment and more farm-fresh fun for the whole family.